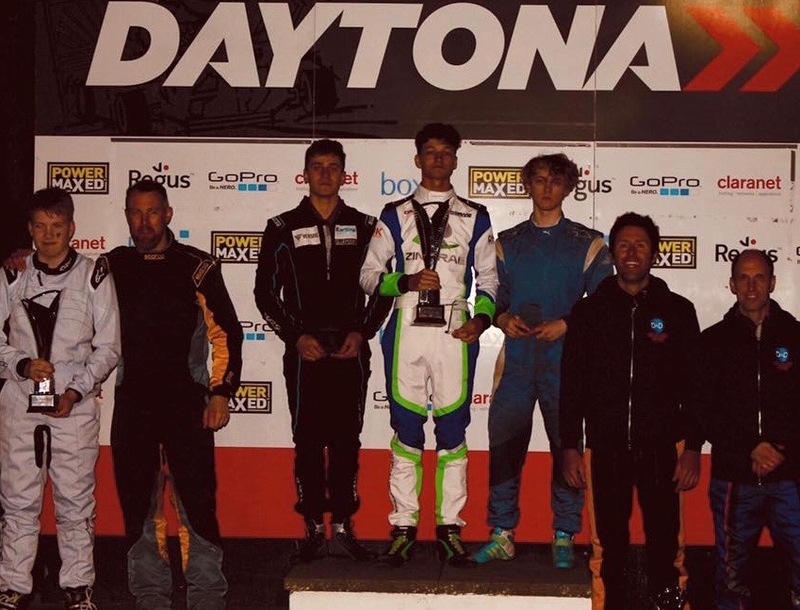 The D&D team, pictured right, on the podium after the Daytona Milton Keynes Das three-hour team enduro race. Allan Curtis, from Uckfield, was delighted to be back on track after a two-month absence due to January fracture injury. He partnered with long term team driver Bruno Botelho to put in a fine performance in these rapid two stroke karts. Always running near the front of the pack, including taking the lead for a good period, they executed the three enforced pit stop driver changes and refuelling strategy like clockwork, only for their final charge for glory to be thwarted by the battery suddenly failing. Costing a valuable +29 secs to resolve the issue it enabled two other teams to seize advantage with the winners taking the flag just 23 secs ahead. Next stop for the team is a double header comprising Club100 Whilton Mill then a dash across country the same weekend for their first round in BPEC 2019 championship being held at Red Lodge Suffolk.